It's the end of the month and an accounting related post is in order. When a tenant moves out you should provide them with a final accounting. This accounting should show that they don't owe anything (if that's the case) and the status of their security deposit. The Security Deposit Accounting shows the security deposit balance and any forfeitures (to pay for repairs, for example). Below is a sample FLA report prior to closing out the lease. You can see they have an outstanding liability for some cleaning and their security deposit balance is $3,800. After the cleaning charge has been paid a true Final Lease Accounting report can be generated and given to the tenant along with their deposit refund. Below is the FLA for the same lease after everything has been paid and the balance of their security deposit refunded. 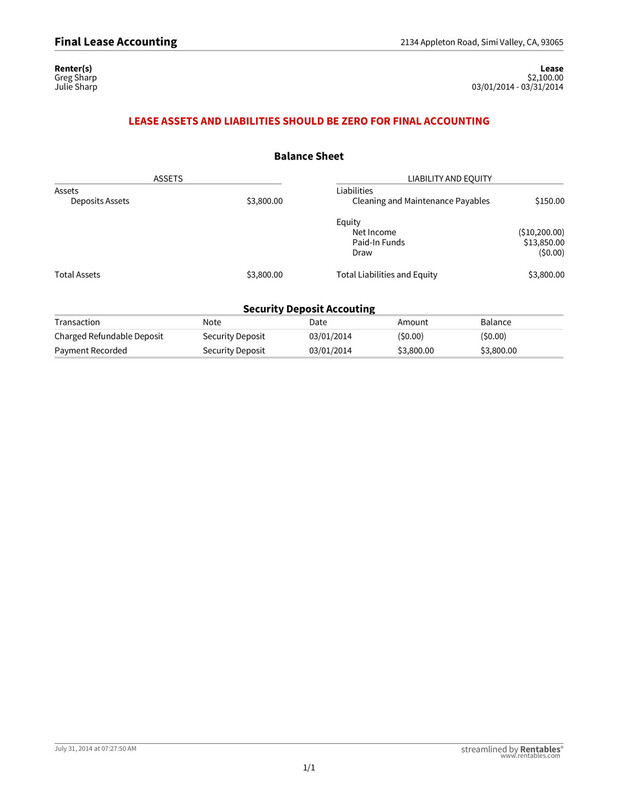 Here you can see both sides of the balance sheet sum to zero indicating there are no outstanding charges or money due. 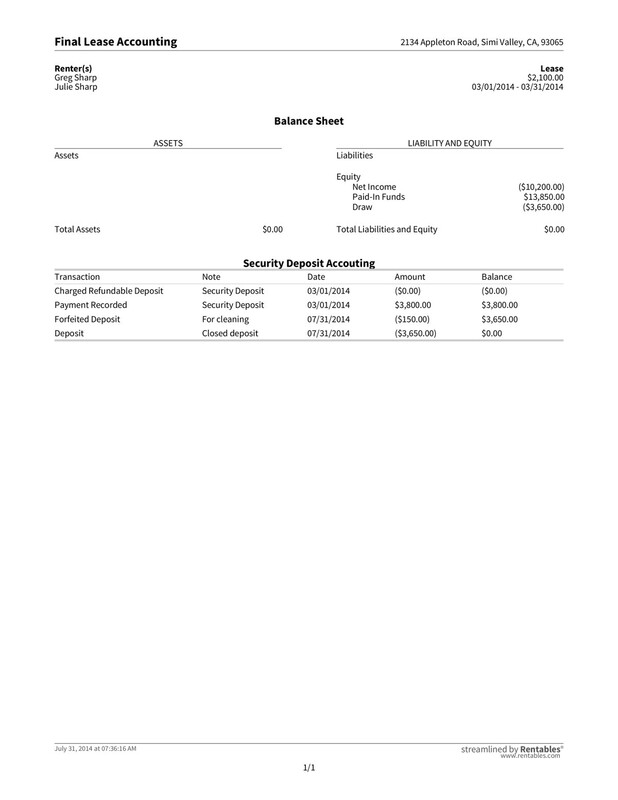 The Security Deposit Accounting shows the $150 that was used to pay for cleaning and the final refund of $3,650. Most states require Property Managers to provide tenants with a final accounting of their security within so many days of terminating the lease. For example, California allows 21 days whereas Connecticut, Massachusetts, and Texas all allow 30 days. See our list of Deadline for Returning Tenant Security Deposits by State.